Fitted with HF control gear, good power factor, 0.95+ Dimmable 0-100% with 1-10 Volt current sinking dimmers. Contemporary, elegant and stylish. 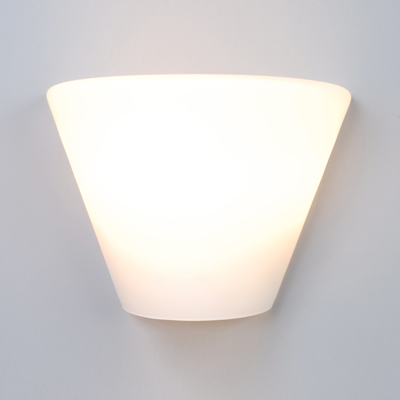 This scone shaped wall light has a white opal glass diffuser and is fitted with High Frequency control and supplied with a 13 Watt PL-C energy saving compact fluorescent Lamp. A grand addition to any modern interior.